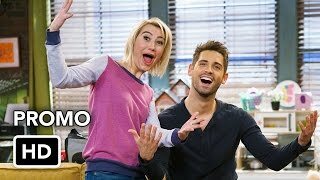 Baby Daddy 5×11 “Trial By Liar” – Riley puts Danny on trial for breaking her heart on the summer premiere episode of Baby Daddy, airing Wednesday, June 1st on Freeform. In the episode Trial By Liar, Danny is desperate to make up with Riley after their recent breakup, but she is still furious after learning he hooked up with Sam (guest star Daniella Monet) in high school. Determined to prove that she is not overreacting, Riley puts Danny on ‘trial’ for breaking her heart, with Bonnie acting as Danny’s lawyer. And Ben tries to save face with Zoey (guest star Jonna Walsh) after discovering that her ex has returned to get back together with her.